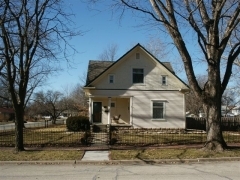 Built in 1910, this Craftsman-style house was first home to Cassius and Adelia Baker, who had moved to Wamego in 1869. He was a prominent member of the local business community and was a founding member and president of the Commercial Club, a predecessor of the Chamber of Commerce. 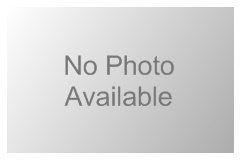 He also was active in civic affairs, serving as mayor of the city, Township clerk, trustee, and treasurer. The couple had witnessed the development of Wamego from a small river town of a few hundred people to a thriving railroad center with nearly 2,000 residents. The Baker House is located one block west of the downtown and is an excellent example of a Craftsman-style residence. 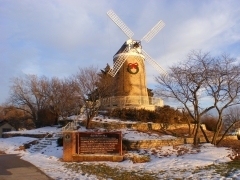 It was nominated for its local significance in the area of architecture. 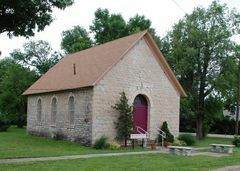 Westmoreland’s 1887 German Evangelical Church represents a common building type and construction method of ordinary people who settled in Pottawatomie County during the late 1800s. Primarily of German extraction, these settlers worked with whatever materials were readily available and did not require expensive transportation costs, professional services, specialized training, or tools difficult to obtain. Many German emigrants settled in Kansas in the second half of the 19th century and brought their customs and traditions with them. One of the ways to continue those in their new home was through their religion. In belonging to the Evangelical Association, they were able to hear sermons in their native language and congregate with fellow German emigrants, but as their children assimilated into the local community, there was no longer a need for a separate church and membership declined; the building was sold in 1914. 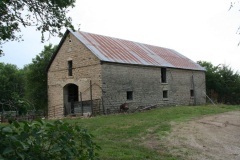 Joseph Heptig, a young German immigrant, built this vernacular limestone barn in 1883 on a 160-acre farmstead in Pottawatomie County. The barn was the first permanent structure erected on the property, which has been owned by the Heptig family for 136 years. 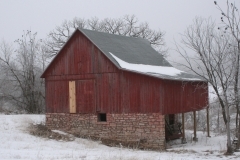 The barn has a rectangular footprint and gable roof and is distinguished by arched openings on the north and south ends corresponding to a center aisle through the barn. Other distinguishing features include a date stone inscribed by the builder and shaped stone window lintels and stone sills. The interior configuration is arranged around a center aisle with horse stalls/pens, granaries and corncribs along the perimeter. A three-quarter-length haymow was open to the center aisle below to facilitate the unloading of hay from a wagon inside of the barn. Hand hewn timber posts and beams distinguish the interior. It was nominated for is local significance in the areas of architecture and agriculture. John McKimmons built this barn in about 1865 overlooking Rock Creek near where the Oregon Trail forded the creek. 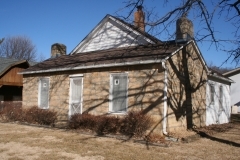 He arrived in Pottawatomie County from Westmoreland, Pennsylvania in the mid-1850s and settled on this farmstead in 1858. McKimmons served as the postmaster for the area and named the post office after his Pennsylvania home. Later development of Highway 99 divided the original farmstead leaving the residence and associated outbuildings on the west side of the highway and the barn, silo, and pole shed on the east. The barn is the best extant resource reflective of the early settlement of the property. The two-and-a-half story bank barn is built into a gentle sloping hill and features a stone foundation and vertical wood siding. 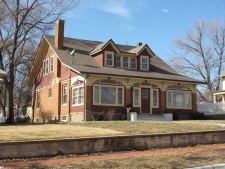 It was nominated as part of the "Historic Agriculture-Related Resources of Kansas" multiple property listing. Erected 1884, this courthouse is one of the few existing examples that date to this distinct period in the evolution of courthouse design in Kansas. In addition to its hipped roof, the use of locally quarried limestone enhances the building’s Italianate design. The property’s association with the evolution of Kansas county courthouses and their design, guides its period of significance, which begins with its construction in 1884 and continues to 1929 with the last historically-significant addition. 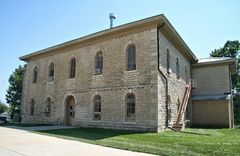 This Courthouse is a modest example of a late nineteenth and early twentieth century courthouse plan in Kansas that was designed by a local citizen’s committee and constructed by Manhattan contractor Hulsey and Moses.